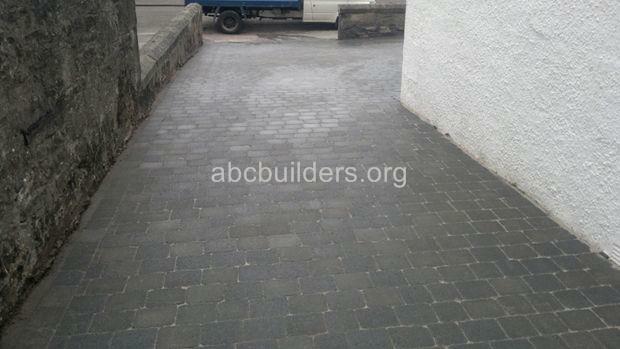 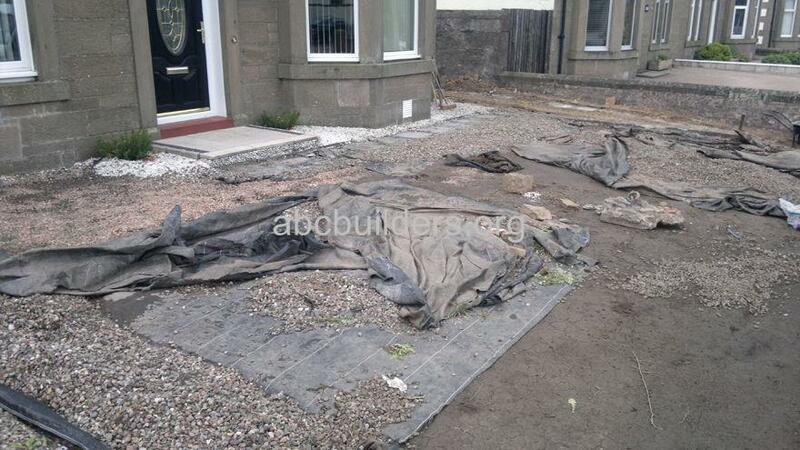 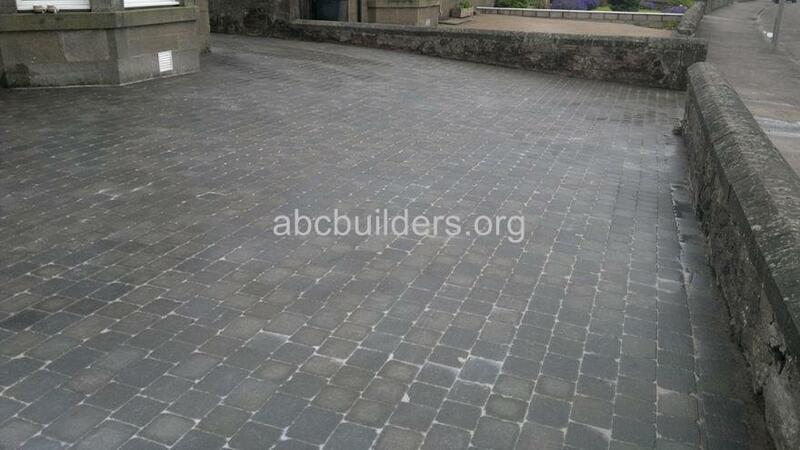 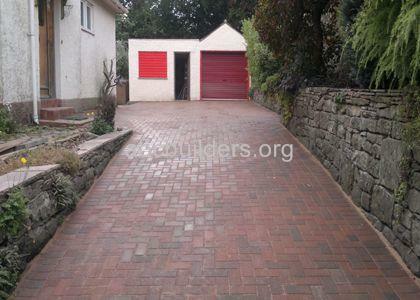 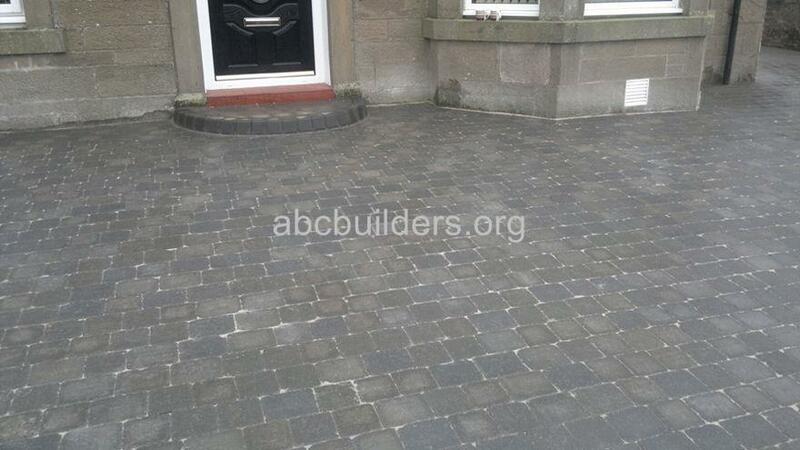 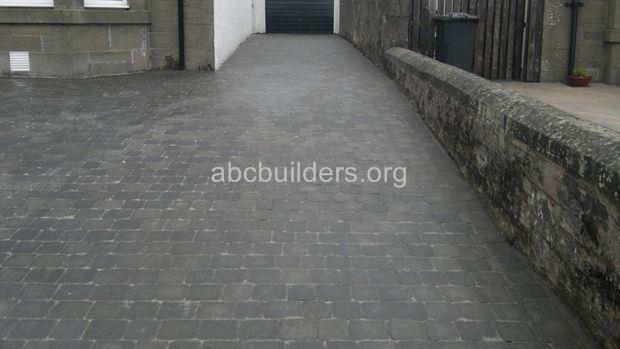 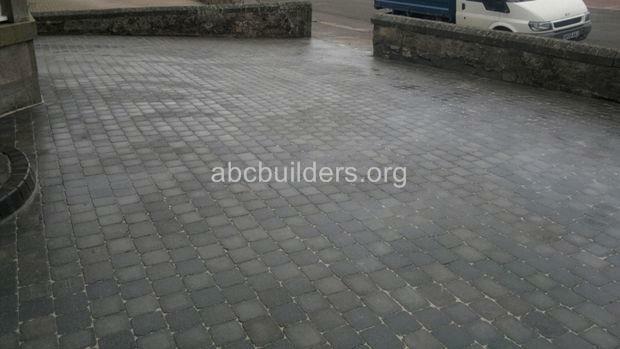 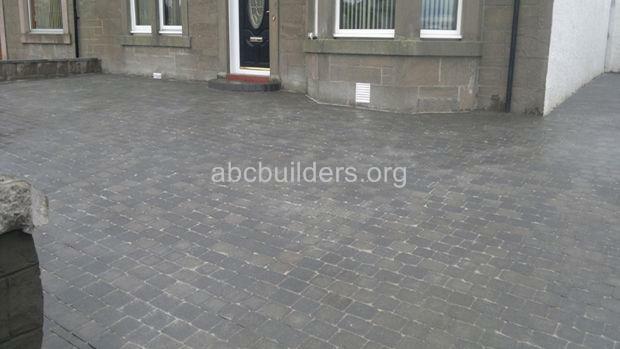 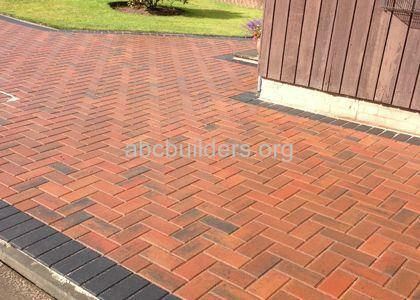 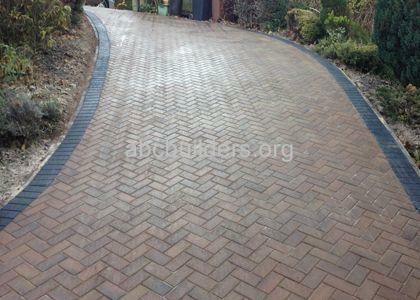 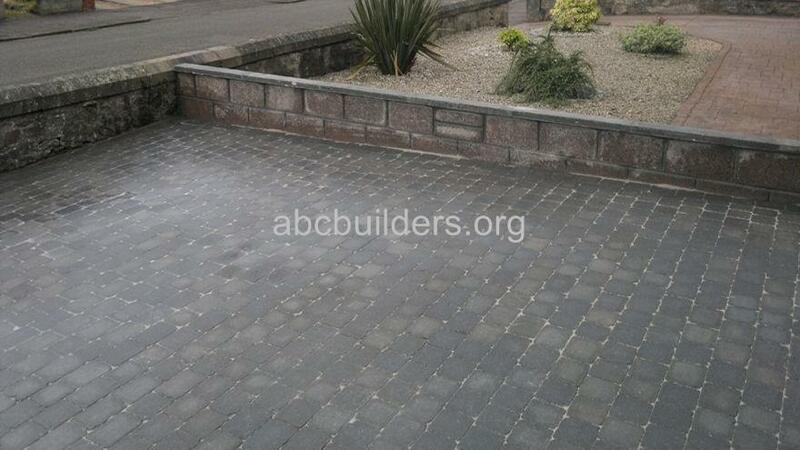 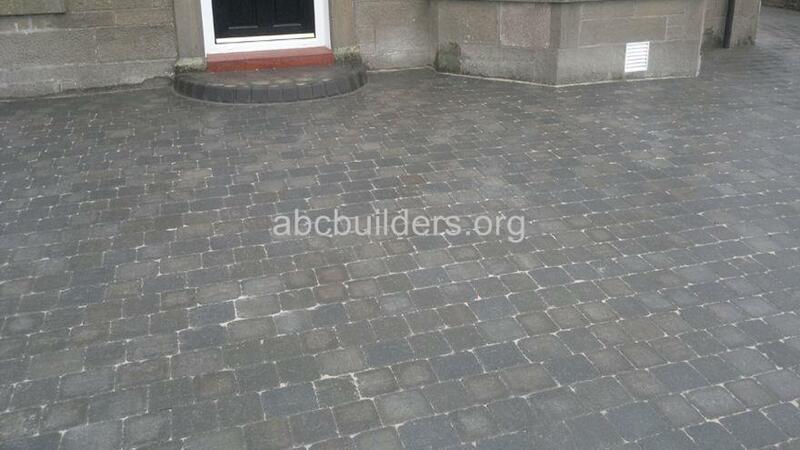 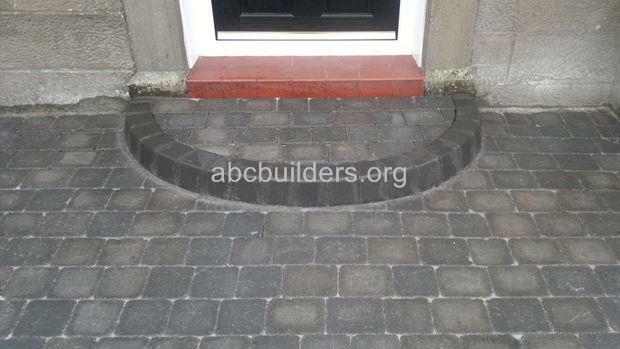 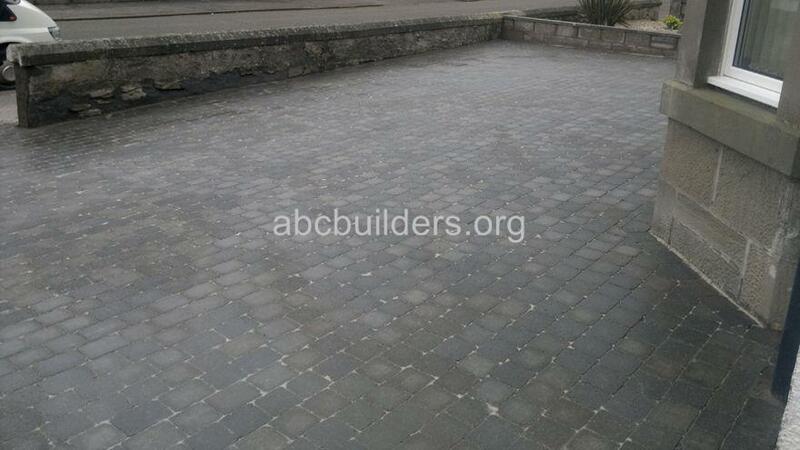 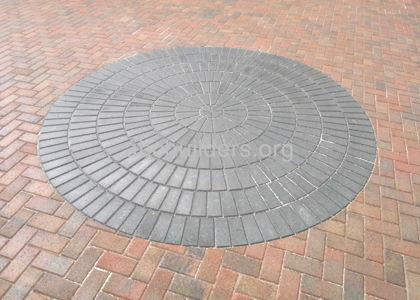 Monoblock driveway using Tobermore Tegula in Charcoal (before and after pictures). 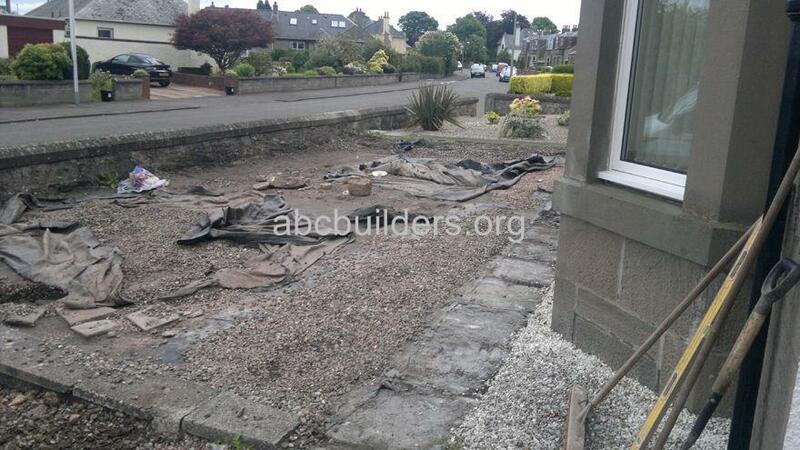 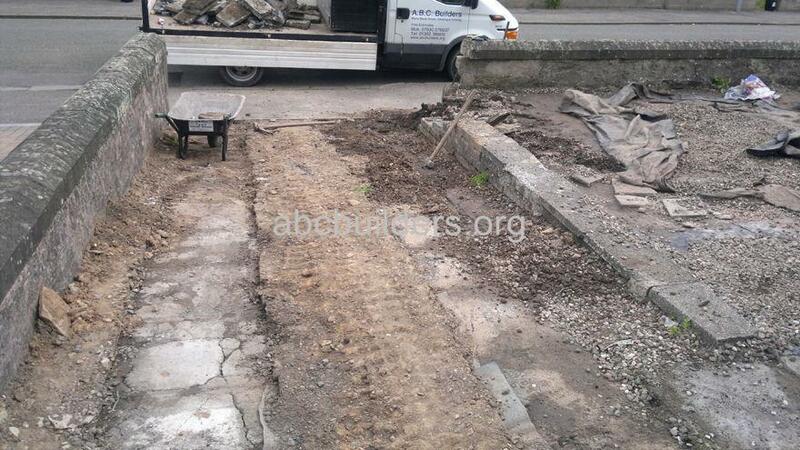 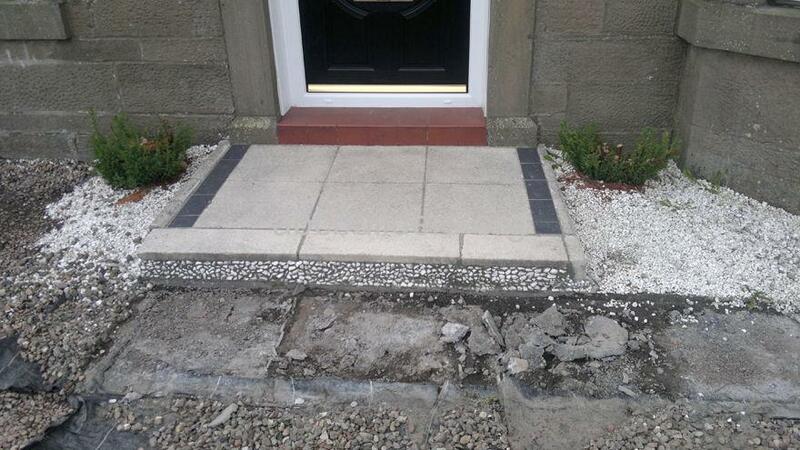 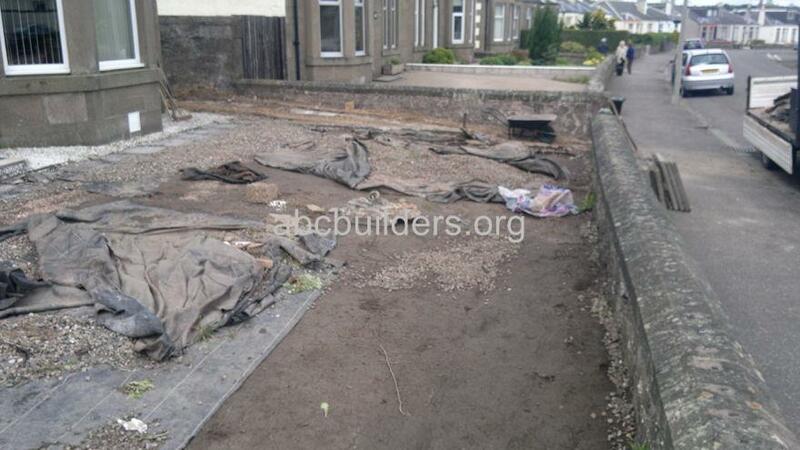 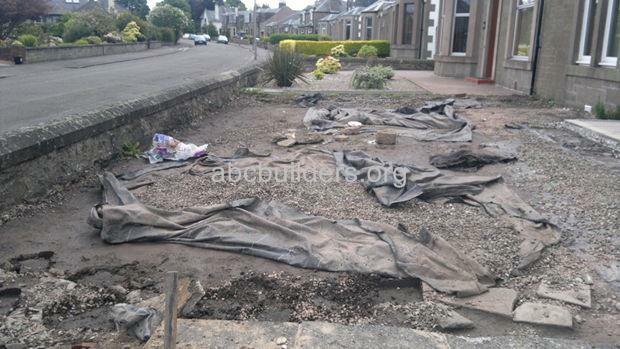 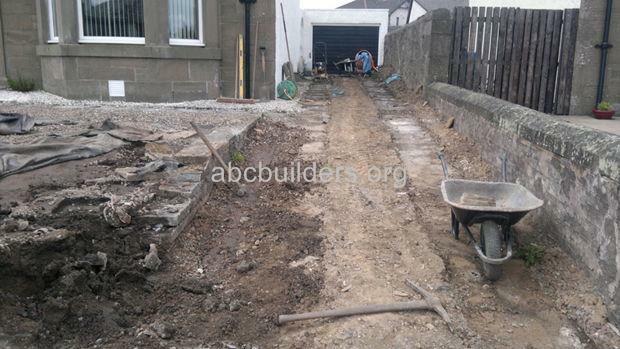 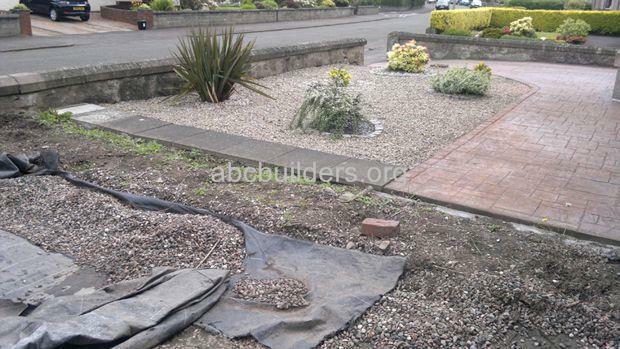 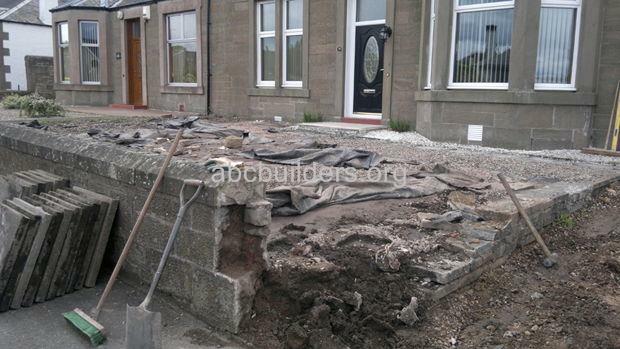 The job was originally a raised gravel front garden with a small retaining wall at the side of the existing driveway. The ground was lowered and the driveway opening was enlarged. A small dividing block wall was built and the new driveway and front door step was installed.